New Surrey Scorchers recruit Alex Owumi admits that he prefers the small, family feel of the game in Britain ahead of the hustle of playing in the city. Owumi moved to Surrey from the London Lions in the off-season after two years in the capital and feels that the move to the much smaller area of Guildford fits him perfectly. “I like playing in small towns,” Owumi admits. “Playing in London was nice but I love the family community and going to a place where people love their basketball and turn out to the games and really get behind their team. 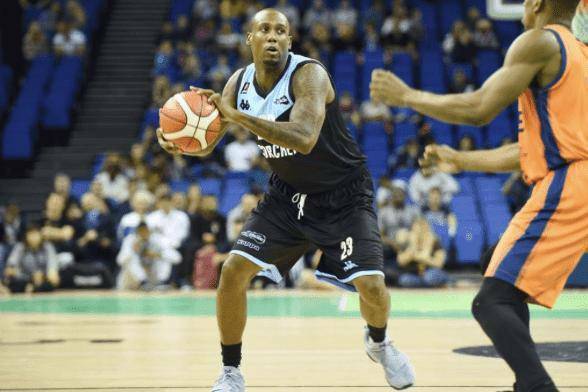 The community were one of the eight select British Basketball League teams that competed in the inaugural British Basketball All-Stars tournament on Sunday at the O2 Arena, where they were eliminated after two defeats. But despite the early exit, the pre-season and new set-up has been a positive for the 33-year-old who admitted that it was head coach Creon Raftopoulos’ approach, and allowing him freedom to assist with bringing players in. “It was Creon to be honest,” Owumi said as he spoke with the Scorchers head coach at length over the off-season. “He gave me the free reign to bring in a couple of my guys like Gerald Robinson and Tony Hicks who is going to be amazing in this league but with every team that I have joined, I have had the chance to bring in somebody who can fit in to the team chemistry and Creon is a great coach. After their O2 Arena experience, Surrey can now look ahead to the new BBL campaign, which tips-off for them on Friday night at Sheffield Sharks.